Have an LTE-enabled tablet lying around the house, or perhaps you’re considering buying one like the soon-to-be-released iPad Air? Well, T-Mobile has a deal for you: Starting November 1, bring any LTE-enabled tablet to the carrier and they’ll hook you up with a 200MB monthly allowance of 4G LTE data for it for life, absolutely free. There’s a little bit of fine print here. You'll have to buy a $10 SIM card, and the tablet needs to be capable of working on T-Mobile’s LTE network. That’s no small point, given that LTE-enabled tablets typically cost about $130 more than their WiFi-only counterparts. 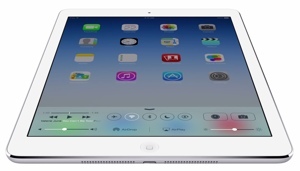 The 16GB iPad Air with LTE, for instance, is set to retail for $629 versus the $499 WiFi-only version. Of course, the hope is that once you get used to having your tablet outside the home, you’ll want to purchase more data through T-Mobile. To that end, the company offers a 500MB monthly allowance of 4G LTE and unlimited 2G data after that for $20 a month, or $10 a month if you’re a T-Mobile voice customer. With the monthly plans, you'll also get free international data roaming. T-Mobile will also be offering 500MB $5 day and $10 week data passes similar to AT&T’s new $5 day pass offering. Obviously, it’s hard to find a better deal than “free.” One word of caution, though: 200MB doesn’t go very far. You’ll be fairly limited in what you can do with your tablet. But for short vacations and those times your home internet goes down, a limited T-Mobile plan could be just the right size. If you’re interested in learning more about the new T-Mobile tablet data plans, visit t-mobile.com.